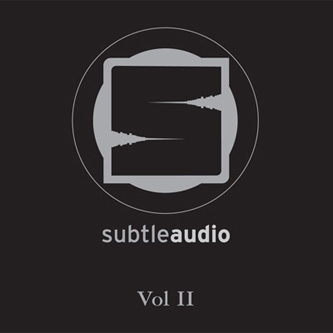 Subtle Audio scan the most esoteric and experimental strains of modern D&B with five tracks taken from their 42 track, 3xCD compilation. On the first plate Requiem turns out frantic and florid sub-continental percussion with 'Ancient Dub', while Accidental Style keeps the funk tight in the pocket with an arrangement of complex, skittering jazz breaks. The second plate swings out further, from the epic sci-fi vibes of Macca's dynamic drumfunk attack 'Virtual Affair' to Dan Habarnam's minimal, halfstep-infused 'Virtual Affair' and a tender moment of hushed jazz subtleties from Sub in 'Sensualism VIP'. Double vinyl, full colour artwork. Choice pick for the techy drumfunk nuts.